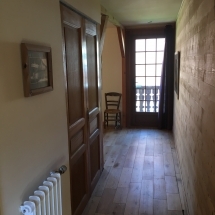 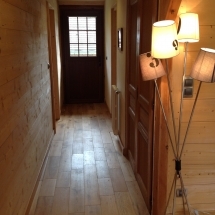 The first floor landing gives access to the corridor leading the Chambre La Famille & Chambre L’Essert. 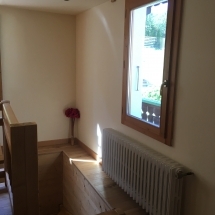 It also has a very useful desk area. 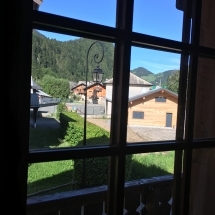 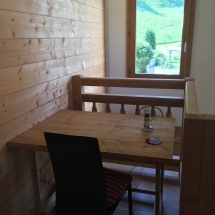 You can sit at the desk and enjoy views to the forest surrounding Abondance.